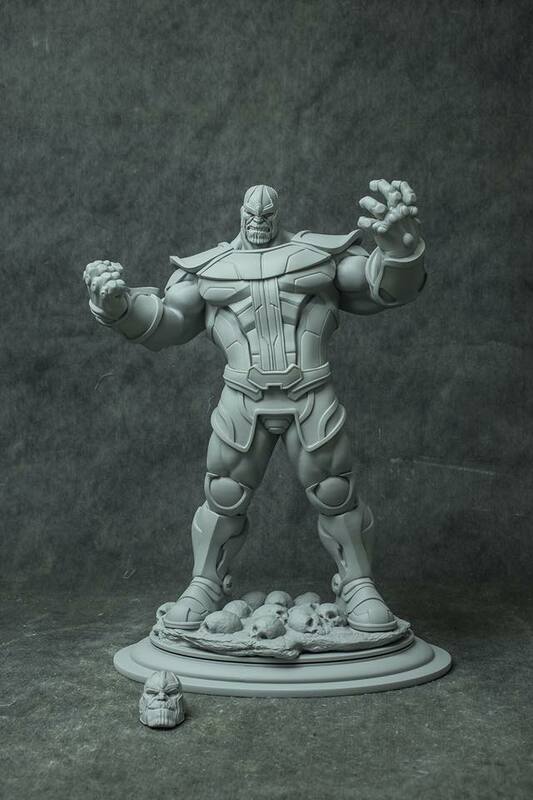 One of my favorite statues is my Bowen Designs Thanos from 2005. It’s a limited edition mint statue of Marvel’s The Mad Titan grinning while holding up the Infinity Gauntlet. Nowadays, companies such as Sideshow/Hot Toys and Prime1 rule over the 1/6 and statue landscape. So, imagine my surprise when Japanese company Kotobukiya announces, out of the blue, a 1/6 Thanos Fine Art Statue sculpted by non other than famed artist Erik Sosa himself. It’s like Christmas, in October. Release date is still TBD as well as Price. But you know i will definitely preorder this bad boy when the shops open their reservation lists.